Drawing on over two years of ethnographic research, Su'ad Abdul Khabeer illuminates the ways in which young and multiethnic U.S. Muslims draw on Blackness to construct their identities as Muslims. This is a form of critical Muslim self-making that builds on interconnections and intersections, rather than divisions between âBlackâ and âMuslim.â Thus, by countering the notion that Blackness and the Muslim experience are fundamentally different, Muslim Cool poses a critical challenge to dominant ideas that Muslims are âforeignâ to the United States and puts Blackness at the center of the study of American Islam. Yet Muslim Cool also demonstrates that connections to Blackness made through hip hop are critical and contestedâcritical because they push back against the pervasive phenomenon of anti-Blackness and contested because questions of race, class, gender, and nationality continue to complicate self-making in the United States. About: Interviews with young, black Muslims in Chicago explore the complexity of those with identities formed at the crossroads of Islam and hip hopÂ This groundbreaking study of race, religion and popular culture in the 21st century United States focuses on a new concept, âMuslim Cool. 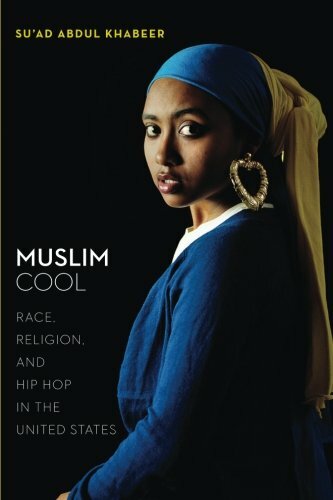 About: Interviews with young, black Muslims in Chicago explore the complexity of those with identities formed at the crossroads of Islam and hip hop This groundbreaking study of race, religion and popular culture in the 21st century United States focuses on a new concept, “Muslim Cool.